With Monday’s news that Xerox has added two office equipment and copier businesses to its channel partner roster, the vendor continues to strive toward its goal of reaching more resellers and growing its small and medium-size business (SMB) base. Wilmington, Delaware-based Hilyard’s Business Solutions and Rabbit Office Automation of Sunnyvale, California, are the latest partners – Xerox refers to them as multi-brand partners – to join its channel partner program. As the year comes to a close, Xerox says it has signed more than 50 new document technology partners in the U.S. and Western Europe. Xerox has a global partner program. In July, the company formally added a Managed Print Services (MPS) Accreditation Program for partners. These partners demonstrate MSP expertise, as well as business growth and revenue. The vendor had an authorized program, but the newer, three-tiered accreditation has higher-level requirements for its managed print services partners. Founded in 1959, Hilyard’s is a family-owned business with roots in selling typewriters and other office equipment. Today, the company offers document management, managed print services and IT network services, such as backup and recovery, cloud, installation, security, remote monitoring, and managed IT. From its beginnings, in 1987, as a copier equipment and services company, Rabbit Office Automation today is a solution provider offering services such as remote IT management, managed print, document management and products. According to Quocirca’s Managed Print Services Landscape 2017 report, MPS remains a prime growth opportunity for print manufacturers and their partners, with more than 65 percent of organizations expecting MSP budgets to increase over the next year. Reliance on paper is still big business. Not only that, 82 percent of organizations recognize that MPS plays an important role in digital transformation. Service quality is the top-rated driver for MPS adoptions, followed by security and compliance, even above cost reduction, which is still a top driver for larger businesses, according to Quocirca. The company on Tuesday debuted Identity Engines 8.0, a platform resellers can use to help clients gain control over their network security. The Philadelphia-based company says its product contains the features of enterprise alternatives, but is priced for users with smaller budgets. 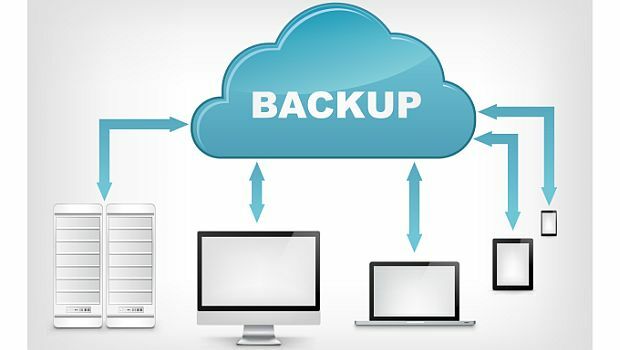 Nearly 40 percent of SMBs cite security as the top benefit of using online backup services, ahead of providing additional data space and simpler backup.